I design thoughtful, liveable spaces in West London. St Dunstans Consulting provides a professional Interior Design service in the West London area at the level of support you need for your life and your project. With a qualification in Professional Interior Design, I can help you create a space that is both beautiful and practical and will maximise the limited space you may have. As an ex-accountant, I have the financial background to draw up a costed budget for your work where needed. 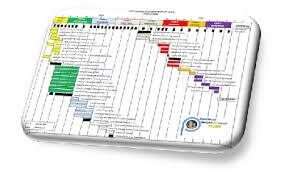 As a qualified project manager I can offer advice or draw up plans and timelines for the work being undertaken. Interior Design Services providing you with decor ideas for Living Room re-design, Bedroom design, Kitchen design, house refurbishment, project planning and budgeting in the West London area inclduing Hammersmith, Fulham, Barons Court, Chiswick, Parsons Green and Brook Green.